This is the translated version of the book Agil projektledning. Why do so many projects end up taking longer and costing more than was planned? Do you have to work round the clock toward the end of a project, and does a project manager have to end up being seen as a slave driver? Is it possible to set up a project so that it provides value quickly, and so that the customer can change its requirements, without this resulting in annoyance and work hours invested going to waste? Agile means flexible and is the term used for a way of working that started in the software industry and that in later years has gained a foothold in a large number of industries. Many companies can vouch for seeing greater commitment and more efficient projects after having adopted an agile approach to planning, change, leadership, and communication. 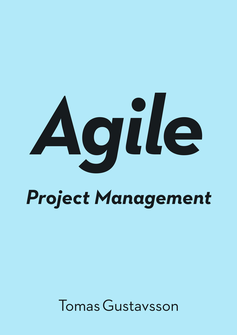 Agile Project Management provides both the theoretical framework and the practical applications for the agile approach. Core values and principles underlying the agile way of working in projects are described in detail, along with real-world examples, procedures, and tools.